Who is Proud and Who is Prejudiced? 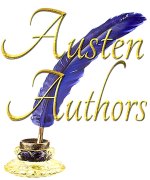 Below is a copy of a blog I published a couple days ago at Austen Authors. It provoked some interesting comments, which you can see at: http://austenauthors.net/who-is-proud-and-who-is-prejudiced/ I would love to hear your opinion! Recently I found myself contemplating the importance of titles in Austen’s oeuvre. Although I’ll admit I didn’t spend a lot of time thinking about the deeper meaning behind Mansfield Park or Emma, some of the other titles gave me food for thought. Persuasion obviously refers to one of the central issues of the novel: Anne’s need to overcome the influence of her friends and family over her love life. In Sense and Sensibility, Elinor represents sense while Marianne represents sensibility—although I love how each sister comes to appreciate the value of the other’s perspective. Pride and Prejudice, however, remains a bit of an enigma which defies a simple explanation. Exactly who is proud and who is prejudiced? When I first read the novel I thought it was completely clear. Darcy is the proud one; after all, he and Elizabeth have an entire conversation at Netherfield about whether his pride is warranted. On the other hand, Elizabeth is the prejudiced one. She makes negative assumptions about Darcy’s character based on a handful of incidents (and Wickham’s lies) and then realizes that she has prematurely jumped to conclusions. Thus I thought the meaning of the title breaks down as neatly as Sense and Sensibility’s does. However, a little while ago in a Facebook conversation with a fellow JAFF author I discovered she thought it was clear that Elizabeth was the proud one and Darcy was prejudiced. My first impulse was to argue about why she was mistaken. J But then I started to think about the characters’ behavior through this other lens. When Elizabeth rejects Darcy’s first proposal he accuses her of having wounded pride, and he’s not wrong. One of the reasons Elizabeth dislikes him is because he wounds her pride at the Meryton Assembly (although she laughs it off) and offends her pride in her family. Darcy, in turn, is prejudiced against Elizabeth based on her class position and her family’s behavior. Although he appreciates her character, he cannot get past his biased opinions about her social station. It was only when I realized this that I understood the true brilliance of Austen’s title. The main characters in P&P don’t break down into categories like those in Sense and Sensibility because they are both proud and they are both prejudiced. And those are obstacles that they both need to overcome in order to achieve happiness together. Thus the title of Pride and Prejudice is less like Sense and Sensibility and more like Persuasion, which is also named for an intangible obstacle that the protagonist must overcome. The result of my musing was a renewed appreciation for the brilliance of Austen’s title. It provoked me into another look at the characters and a deeper understanding of the book itself. 4.5 Star Review for Darcy vs. Bennet from Austenesque Reviews! Meredith at Austenesque Reviews writes the most thoughtful and insightful reviews (and I’m not just saying that because she likes my books 🙂 ). Check out her very thorough review of Darcy vs. Bennet. 4.5 stars out of 5!